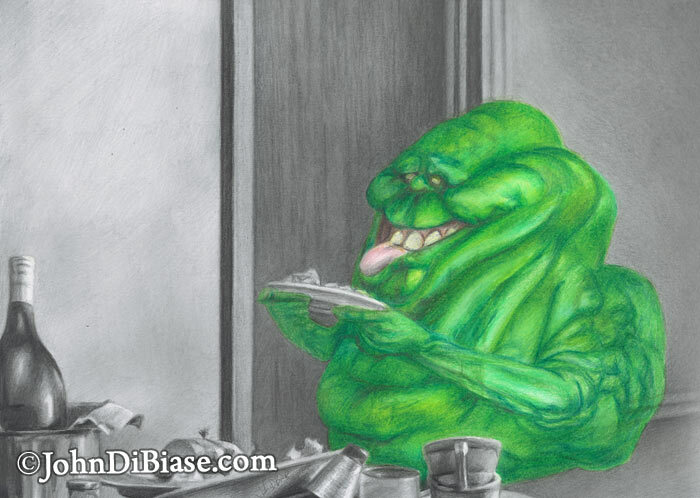 Keeping with the fact that Ghostbusters is my favorite film, and wanting to work with colored pencils some more, I decided to take a stab at Slimer in Ghostbusters. I found it a bit more challenging than I expected. For one, I had trouble not making it look too cartoony… plus it was tough to nail his green color just right. In the end, I felt the drawing was kind of a mixed bag, but hopefully some fellow Ghostbusters fans enjoy it.